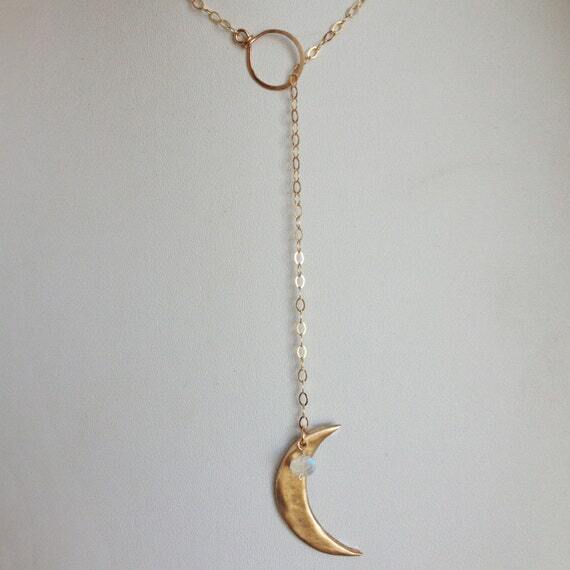 This Luna lariat features a solid hand made bronze crescent moon and a luminescent faceted rainbow moonstone. Very easy to put on, just slip the moon through the hand-made bronze loop on the other end. Approximately 22" long but wear it at any length by just wrapping the moon end through the toggle twice. The chain is 14k gold-filled.